Trans-Anatolian Natural Gas Pipeline (TANAP) construction project has already been completed by 93 percent. Saltuk Duzyol, head of the TANAP Consortium, made the remarks at a press conference on April 17 in Turkey’s Eskisehir city. He said that 1,340 kilometers of the pipeline have already been built, adding that TANAP will be connected to Turkey’s national gas distribution network in July 2018. Duzyol went on to say that the TANAP shareholders already raised $3.75 billion from international financial organizations, while more than $5.6 billion were spent on the project’s implementation. The total cost of the TANAP project is estimated at $8 billion, he added. Touching upon the Trans-Adriatic Pipeline (TAP), he stressed that the first commercial gas supplies to Europe via TAP will begin in March 2020. He said that Turkey will complete all the work to launch filling of the TAP with Azerbaijani gas by June 2019. "Although, the TAP itself will not be ready for this date, we, on our part, want to perform the entire work beforehand," he added. 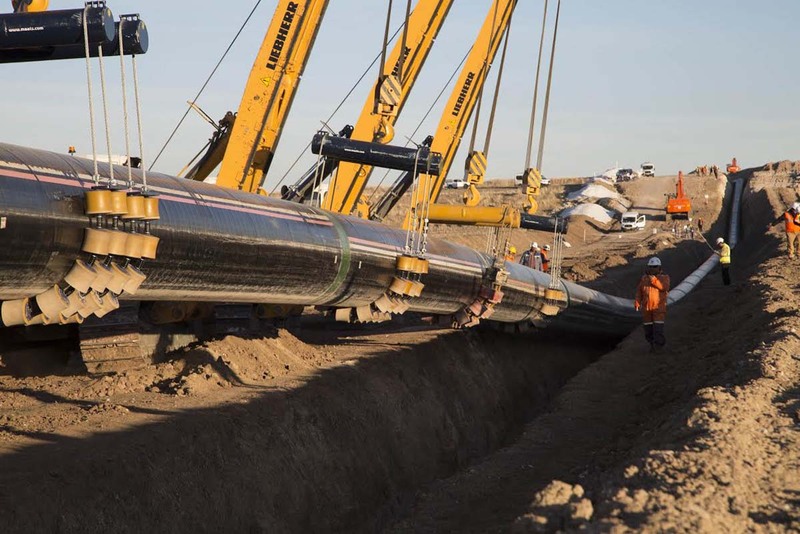 Connecting with TANAP at the Greek-Turkish border, TAP will cross Northern Greece, Albania and the Adriatic Sea before coming ashore in Southern Italy to connect to the Italian natural gas network. TAP will be 878 kilometers in length (Greece 550 km, Albania 215 km, Adriatic Sea 105 km, and Italy 8 km). Its highest point will be 1,800 meters in Albania’s mountains, while its lowest point will be 820 meters beneath the sea. The gas will be delivered to Turkey via TANAP in 2018 and after completion of the TAP construction the gas will be delivered to Europe in early 2020. Further, he underlined that SOCAR Turkey Enerji AS, a subsidiary of Azerbaijan’s state oil company SOCAR in Turkey, became the owner of a 7 percent stake in the TANAP project. Thus, the share distribution of TANAP shareholders is as follows: Southern Gas Corridor CJSC - 51 percent, SOCAR Turkey Enerji - 7 percent, Botas - 30 percent, BP - 12 percent.